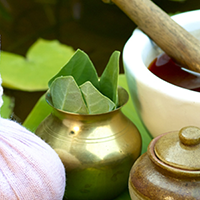 Ayurveda has a holistic approach to healing that emphasizes the emotional, mental, spiritual and physical elements of the patient, and attempts to treat the whole person in its context, not just the ailment in question. 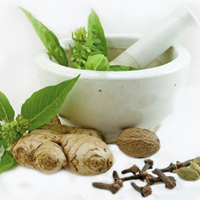 Ayurveda has time-tested remedies for managing such stress and lifestyle related health problems. The Ayurvedic approach is essentially, safe; result-oriented and designed to foster a positive approach to personal living habits. There are common treatments for groups as well as individual attention that seek to customize treatment to the unique health needs of the individual. A package that combines both has been found highly effective in tackling executive health problems. Such a package can help employees adopt a healthier lifestyle habits for long-term wellbeing. This will also result in better on job time utilization. 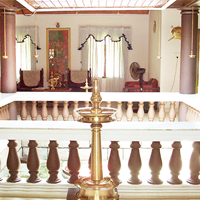 While in India, visit Ayuryogashram in Thrissur, Kerala to benefit from the curative and therapeutic effects of Ayurveda. To experience rejuvenation, and be revitalized and ultimately relaxed and experiencing utmost peace, wherein we experience an overall bodily, mental and an overall wellbeing, rejuvenation therapies are the key. Both preventive and remedial measures are rendered here by us. The Rejuvenation therapy is undertaken for a period of 28 days. This of is course subject to the certain parameters like health, age, physical conditions of the individual. 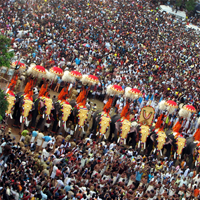 The therapy includes, massages like Shirovasthi, Tharpanam, Virechanam, Dhoomapanam, Shirodhara, Sarvangadhara, Avagaham, steam bath and a special diet. The basic aim of the therapy is restoration and rejuvenating the body, repairing tissues and helping reduce stress and purge toxins from the body and thus enhance our beauty and prevent premature aging. Additionally, there will be some oral intake of medicines and all this is followed under the aegis of the Doctor. The complete session that is aimed at weight loss and obesity are body massages that are dry and with oils and packs. Coupled with special diets, exercises, yoga sessions, herbal medicines and steam baths are all administered to work in unison. At the end of the therapy session, definite changes are evident and the results are visible. Our special, personalized skin and beauty care treatments and therapies are offered based on the skin type, age and issues, if any. To keep alive the fountain of youth is a lot of effort. And skin is the mirror that wears and portrays our age. Therefore, taking care of our skin is always a priority. At Ayuryogashram we offer a couple therapies that are oriented to work on skin and skin-related problems. With skin and hair treatments, facials and massages and other related therapies, at the end of a skin and beauty therapy with us, you will definitely feel rejuvenated and look and feel younger. The therapy is also referred to as SHODHANA CHIKILSA, which translates to purification or cleansing of the body to attain a proper balance of the vata, pitta, and kapha doshas in the body. 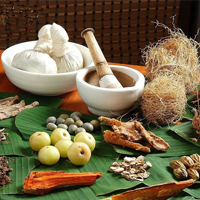 The therapy follows all prescribed Ayurvedic principles and after undergoing the therapy, many lifestyle sicknesses, aches and pains and digestive disorders will definitely be alleviated. Sedentary lifestyles are silent killers. Not only do we fall prey to lifestyle sicknesses but we also feel fatigued, tired and experience headaches, pains, aches occur often or for no apparent reason. Therefore owing to this, it is good to undergo the body immunization and longevity therapy which addresses these illnesses, degenerative diseases, improves flexibility, eliminates tiredness and adds more energy and vigor to the body. The body is cleansed and toxins removed and with the stipulated therapy that includes a whole host of treatments and procedures, one would only end up feeling light, fresh and energetic. 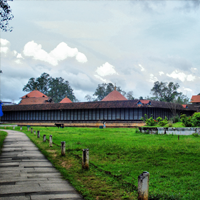 Some of the treatments involved are Snehapanam, Virechanam, Nasyam, Snehavasti, Dhara, Pizhichil, Njavarakizhi, Tharpanam, Shirovasti, Karnapooranam and medicated Steam bath. If we are stressed out and if our mind is in a daze or if we are experiencing or undergoing a lot of stress owing to work, personal or other reasons, the result is felt everywhere in the body. Our body reacts, when the mind is in turmoil. And as a result a lot of problems surface because of the stress. If we have to maintain our prakriti or body constitution, our manas or mind should be at ease and calm. And to help de-stress, a relaxation and stress management therapy is offered at Ayuryogashram. The therapy helps de-stress and relax us in totality, improves concentration and promotes an overall sense of wellbeing. 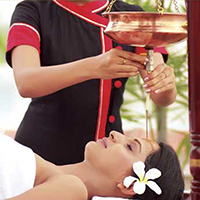 The treatments include Shirodhara or Thakradhara, Shiroabhyangam, Pizhichil, Shirovasti and Ela kizhi. The Yoga sessions at Ayuryogashram are a part of the overall wellness therapies and programs. 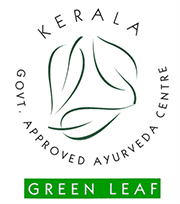 This Green Leaf Certified Ayurvedic Resort offers Yoga sessions along with the other therapies and sessions you have opted for. The sessions last for a period anywhere between a fortnight to 28 days. 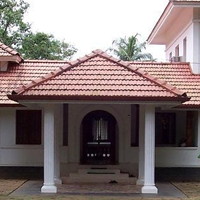 The practice of Yoga, techniques, postures and movements are taught by the in-house Yoga Practitioner and Instructor, Mr. K. Ramachandran, a well-known Yoga exponent. As part of the Yoga therapy, meditation is also recommended and included.